Today I had a small task assigned to me to prevent a user from navigating away from a web form when there are unsaved changes. As it was a rather extensive form (and old code) I had the feeling that it could be quite an extensive task. Yes, I know this is more of a beginner's level blogpost, but maybe someone can use it. Otherwise burn me down to the ground in the comments. Also simple is step 3. That was easy, as some would say. Then I decided that it would be simple a matter of using a selector in jQuery and add a function to the change function that sets the isDirty boolean to 'true'. I opted for a class 'trackChanges'. This is the little snippet that I produced. Similarly I chose a class of 'moveaway' for those links that can lead the user away from the current page. These links should get a onclick attribute returning the the result from the IsPageDirty() function described above. Since I then had to go through the entire form. It was an aspx page and there User Controls (ascx) being loaded and I had to go through thse as well. Not very pleasant. I got myself another cup of coffee and had a good thought. Then I decided to just select all input controls and not just certain marked with a class. 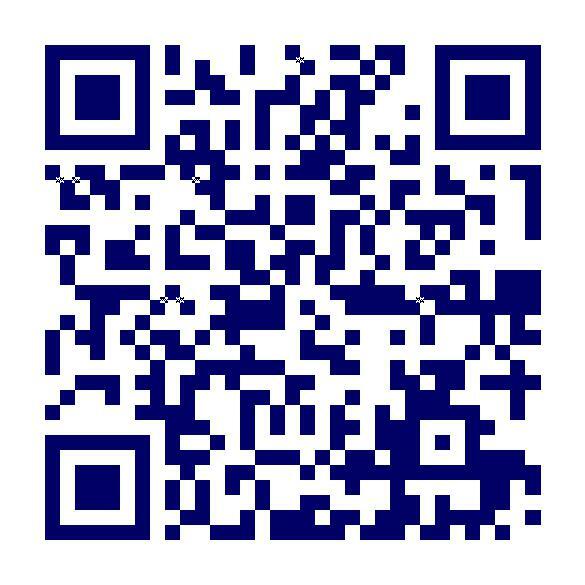 Changed the code to the following. Same was true for all the links. I opted for selecting all anchors. Then I had a huge problem, because the saving was also done using a link. Before the saving would start the user gets a warning that there are unsaved changes. A bit confusing to say the least. I didn't want to go back to putting a class on all the other links just to get around this. I wanted filter out some of the anchors by putting a class on these. I know, I know, but still I think it could be of some help for others somewhere on the web. And maybe to help me remember this for future reference. function to be my saviour in this. function I added to exclude some controls from firing the isDirty flag. I used this class on some input controls used for search. And amidst all new versions of Visual Studio and Team Foundation Server I find myself at a client where there is a mixed codebase. Some older stuff created in VS2008 and even VS2005 and now working in VS2010. Luckily, they have their code on TFS 2010. For each version of Visual Studio code there is a collection aptly named VS2005 et cetera. But then I struck the small challenge of actually getting to older code. I could connect to the collections using VS2010 and get latest from there and then I could open it using the correct version, but I completely lost the ability do any real source control. 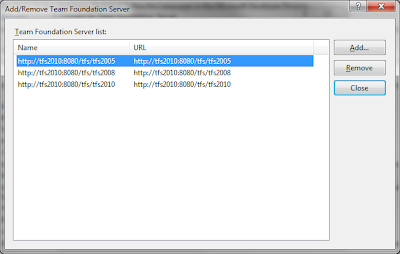 I could not simply connect the older Visual Studio versions to TFS2010. 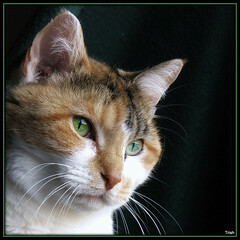 Forward Compatibility Update for VS2005 (Visual Studio 2005 SP1 is a required prerequisite). Forward Compatibility Update for VS2008 (Mind you the Visual Studio 2008 SP1 is required). 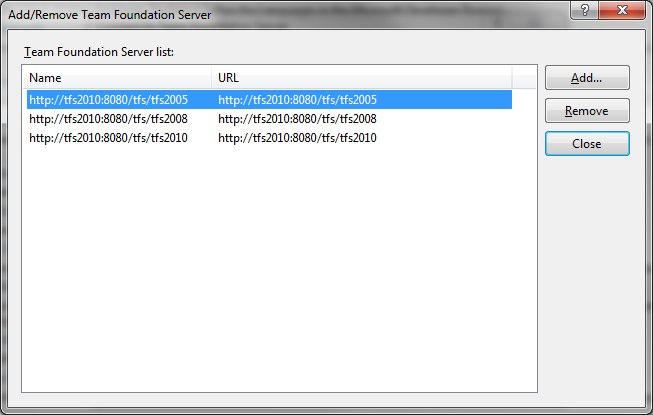 When connecting to TFS2010 from older Visual Studio versions wen need to give a little more data than just the server name. The complete path to the collection is needed. You will get a TF31002 error when you only provide the server name. In my situation I came to the following result. I hope this helps someone else as well. At least it is a note to self. For some of you this will seem like a completely misplaced post. It is not about developing or the Internet or Google but about running. In my sparse sparetime I like to do some running. I have done that since my days in University on and off with more or less intensisty. Still haven't run the obligatory marathon yet, but two Half Marathon should count as one, I guess. I have always tried to run on a good pair of running shoes and replace these every 300++ Km to make sure I have sufficient damping. Not doing so always made my muscles hurt and led to small but painful injuries to my knees. Ever since working for Nike I run on Nike shoes as these suit me very well. It's been a couple of years since I left that company but still the various Nike Air dampened shoes do their job wonderfully. Lately new ideas about running shoes are getting more and more mainstream. The fully comfortable running shoe now has a version which more close to nature. The idea being that the foot loses its natural stability and muscle power since it is comfortably supported and strapped in inside a sturdy and soft and easy dampened shoe. Natural running is closer to the way many of the African athletes train: on their bare feet. Natural running supposedly makes your feet muscles stronger and also changes your way of running and ideally improving it. When I was in the Nike Headquarters in Beaverton, Oregon in 2003 I was shown one of the prototypes of the Nike Free shoe. The Nike Free shoes have a very flexible outer sole and the top of the shoe gives less rigid support. You can role them up easily. But still they provide quite a bit of damping. 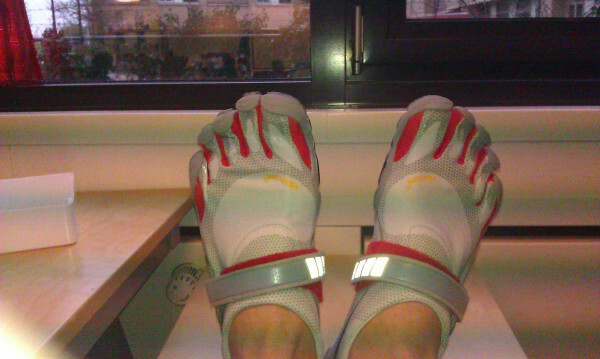 The Vibram Fivefingers are a whole step further. They are completely minimalistic. No damping and the upper part of the shoes is as light as possible. To provide even more freedom through the use of five separate toe compartments. The outer sole is, as can be expected from Vibram, a good wear and tear resistant rubber giving good grip but also minimal damping. With that the Vibram Fivefingers come much closer to true barefoot running than the Nike Free concept. Yep, as the geek I am, I was interested in both the Nike Free concept and later on also the true "barefoot running" idea. I wanted to try them sometime. But it never really happened. Until I saw a tweet come by on my Twitter timeline. It was one of those "retweet this and you have chance to win ...". This time you could win a pair of Vibram Fivefingers. Not really expecting to win anything I did retweet and went on with my work. Want to win FiveFingers yourself? Easy! Go over to this page and hope for the best! A few hours later I found myself exchanging my shoesize and address to receive a pair of Vibram Bakilas! Now I have them for a couple of weeks and I have been running them on ever longer stretches. I must say that I am completely amazed by them. It takes some getting used to and I am still trying to find a new perfect style of running. But I think that is something positive. On my normal luxury running shoes I never really think about the way I run, I just put one foot in front of the other. I do pay some attention to my arms and upper body, but that's it. Most of the running is done without thinking about it. In this respect barefoot running makes me thinking about the way I walk. The other part that really amazes me that I do not feel anything special in my muscles. I had expected that without the shock absorbing sole I would feel my muscles and knees. Whenever the absorbing qualities of my normal shoes would drop these are the first things I notice. But even with close to no shock absorbing there are repercussions. This amazes me still as I gradually build of the length and intensity of my runs. I still run on my Nike shoes, but I try to do every other run on my Vibrams. I must say that this barefoot running on the Vibram Bakilas have more than amazed me. I am truly enthousiastic. As I have no Nike Free shoes to compare them to (hint hint) I can't comment on that. At the very least the Vibrams have made think about my running and my posture and also they have once again breathed new life into my running adventures. Since it seems to be part of a hype I can not be left behind.